Office supply store Staples may be joining the likes of Dairy Queen, Jimmy Johns and Home Depot as the latest national retailer to be hit with a cyberattack. 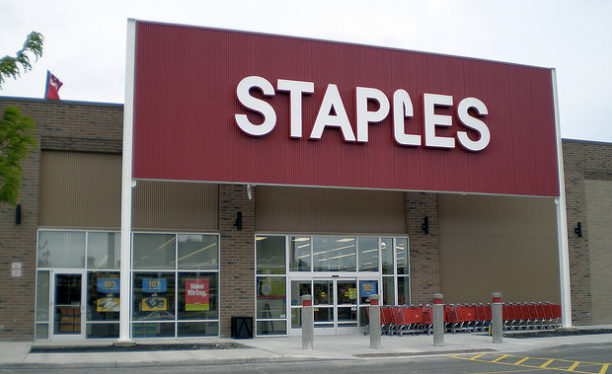 Reuters reports that Staples announced late Monday evening that it was investigating a possible breach of customers’ payment card data. “Staples is in the process of investigating a potential issue involving credit card data and has contacted law enforcement,” company spokesman Mark Cautela said in a statement. The retailer announced the data breach investigation after security reporter Brian Krebs reported that several banks had identified a pattern of security fraud and tied those issues to several Staples stores in the northeastern United States. Officials with Staples said in a statement that they are working to resolve the situation and if an issue is uncovered that customers would not be responsible for any fraudulent activity on their credit cards. Data breaches have become the unwelcome norm this year, with companies such as P.F. Chang’s, UPS, Albertsons, Jewel-Osco, ACME, Shaw’s, Neiman Marcus and Michael’s craft stores falling victim. Two of the largest hacks in last 12 months occurred at major retailers Target and Home Depot with a reported 106 million Americans affected. Unfortunately, as Consumerist reported earlier this month, the trend of data hacks probably won’t be ending anytime soon, and there’s really nothing you can do about it– except to never shop again. Which might just be the case this holiday season as a new report released this week found nearly half of America was thinking long and hard about doing their holiday shopping at a store that fell victim to a cyber attack this year.